Taking as its theme the touring programmes of musical prodigies, this instalment in the Aurora Orchestra’s five-year traversal of Mozart’s piano concerto, opened with the fifth of Paganini’s Twenty-four Caprices. It was well played indeed by Thomas Gould, intonation spot on, and with plenty of rhythmic impetus. Whether it really added to the programme, I am less convinced, but it did not harm in lieu of an overture. Cédric Tiberghien took centre stage for the rest of the first half, with excellent results. First up was the lovely, shamefully neglected Sixth Piano Concerto. (Just because Mozart wrote greater concertos, there is no reason for us to forget his earlier works, which put most other composers to shame. The same goes for his operas.) 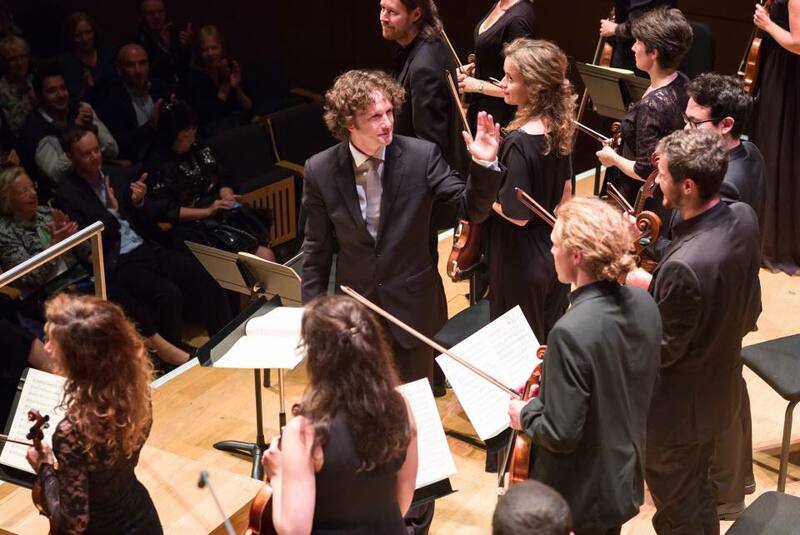 A warm, lively orchestral tutti from the orchestra and Nicholas Collon was answered by Tiberghien with charm and precision, the first movement as a whole receiving a variegated performance, in the spirit of forerunners such as JC Bach, yet also looking forward to Mozart’s later works. Passagework as clean, well-oiled, and, just as important, melodically meaningful. The slow movement had the air of a Salzburg serenade, not least on account of its pizzicato strings, but not only on their account. In its way, this is quite a complicated movement, overtly so: it has little of the distilled simplicity of the later Mozart. Tiberghien cared for the cantilena just as much as he would have done in Chopin or Ravel – and rightly so. The finale was played with good nature, and a sense of fun, whilst still being taken seriously. There was something of Haydn (if only to our retrospectively attuned ears) to it, but equally a sense of drama that was entirely Mozart’s own. Liszt’s Le Mal du pays offered a very different standpoint on the travelling virtuoso’s experience. The starkness of its opening seemed already to look forward to the visionary works of the composer’s old age. 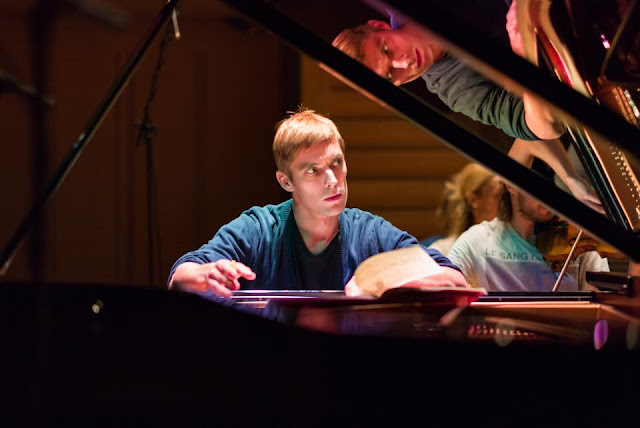 Tiberghien showed himself finely attuned to Liszt’s rhetoric but also to the sentiments that underlay the rhetoric. Like Liszt himself, he understood the ability of the piano to ‘speak’ and communicated that. Sadness, even bitterness, made for a poignant, pungent interlude. Once again, we were reminded that no one, not even Mozart or Beethoven, did more to make the modern piano and modern pianism what they are. Mozart’s Fifth Piano Concerto opened with the unmistakeable celebratory fizz of the composer in D major. Collon drove the music quite hard, but it could take it. Tiberghien responded in similarly ‘public’ fashion. That is not to say his performance lacked subtlety, quite the contrary; melodic lines were just as finely crafted as in the previous concerto. Mozart’s surprises registered as they should. Attention to detail from all concerned ensured that music which, in lesser hands, might sound ‘conventional’, emerged as anything but. The orchestra, moreover, sounded as if it were enjoying itself: always a good thing. There was an engaging physicality here and elsewhere to its performances. The slow movement’s performance was eloquent. What again can actually prove quite complicated never sounded fussy; it was well directed, imbued with grace, yet with a place too for rhetorical flourishes. In the finale, we experienced a return to, even intensification of, D major extroversion. Display, as previously, was always musically grounded; the ebullience was impossible not to like. Mozart’s extraordinary achievement at the age of seventeen blazed in all its glory. For the second half, we heard a symphony by another celebrated prodigy, Mendelssohn. Collon offered a performance rather in the spirit of his Mozart: colourful, exuberant, full of life. The second group in the first movement had charm too: Mendelssohn should never grimace; nor did he. The development section, moreover, sounded properly cumulative. 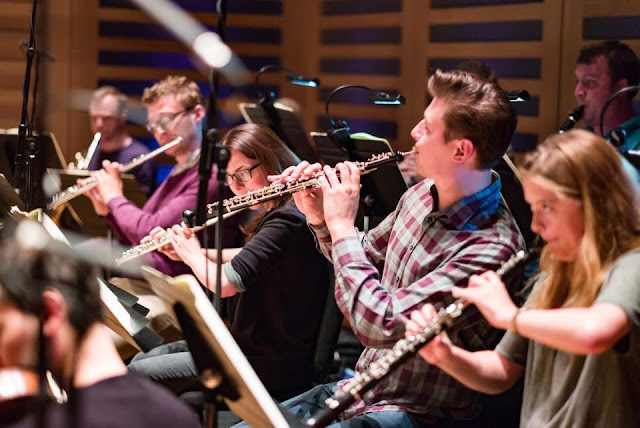 At the opening of the second movement, Collon and his orchestra seemed keen to highlight Mendelssohn’s interest in Baroque music, Handel as much as Bach. It was not a dogmatic reading, though: there was plenty of ‘Romantic’ colour to come, not least from the Aurora woodwind. Darkness of mood, far from unrelieved, provided a welcome correction to many other accounts. The Minuet charmed, yet never sounded merely placid; there was much to occupy mind and senses beneath the veneer. Its trio proved just as ambiguous, if differently so. A fast and furious finale stood out for the intensity of the orchestral playing. One truly felt the virtues of a chamber orchestra ‘playing out’, of virtuosic instrumentalists coming together to make music.